As you enter this 4 bedroom 3 bath POOL home you are greeted with high ceilings throughout. The dining room and living room greet you. The kitchen features a bar area and breakfast nook, granite counter tops with full cabinet to cabinet back splash, and an island for extra storage. As you enter the backyard space there is a large screened in salt water pool for your added enjoyment. No rear neighbors!! and large lot. Master Bedroom has two walk in closets, his and hers, extra large shower, and vanity counter top. Laundry is large with a mud sink. Ceiling fans in bedrooms and lanai. Exterior and pool deck professionally painted Spring 2014. Pool cage was completely re-screened Summer 2017. Hot Water Heater replaced in April 2017. Dishwasher replaced in January 2015. Community amenities include a community clubhouse area with a secured pool, kiddie playground, and tennis courts for your added enjoyment. 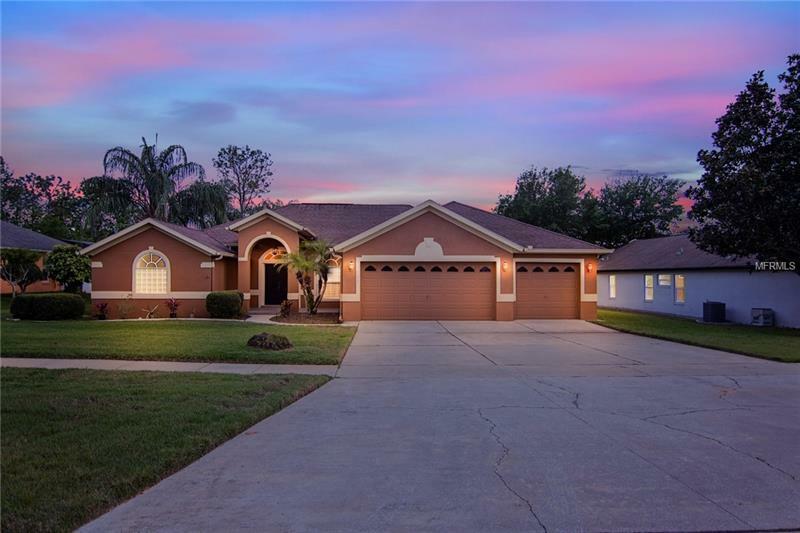 Take a look and live the Florida Life style. Live in the middle of everything. 7 minutes to the turnpike entrance, close to all shopping and restaurants, and 30 minutes to Disney World.